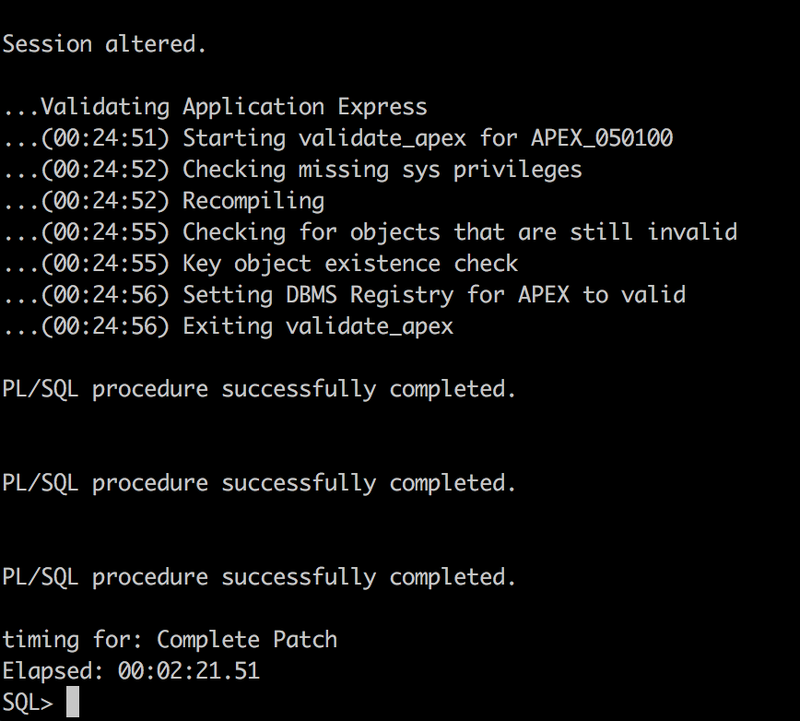 Yesterday a first patch set of Oracle Application Express (APEX) 5.1 has been made available to download. If you encounter issues, you can ask for support and most likely a bit later a patch is made available through support.oracle.com. The APEX team is doing a great job with this. For example some people using APEX Office Print had an issue which was caused by a bug in APEX_JSON (which we heavily use behind the scenes). The next day the APEX Dev Team already made a patch available (PSE 25650850). Instead of applying those one-off patches, you can wait for a patch set which includes those one-off patches and more. 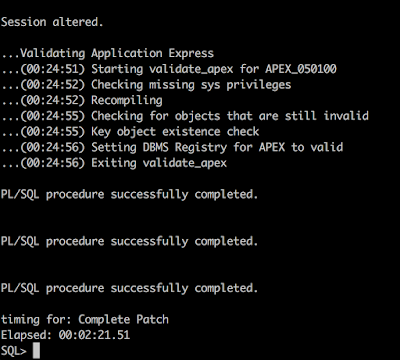 If you didn't move to Oracle APEX 5.1 yet, you can just download the latest version which includes 5.1.1 immediately. There're many fixes for the Interactive Grid features, but next to that, many others as well, like for example login issues. If you're on Oracle APEX 5.1, search for patch 25341386. Unzip the file, stop the webserver, run @apxpatch, copy the images folder and start the webserver again. About 2 minutes later you're on the latest version.